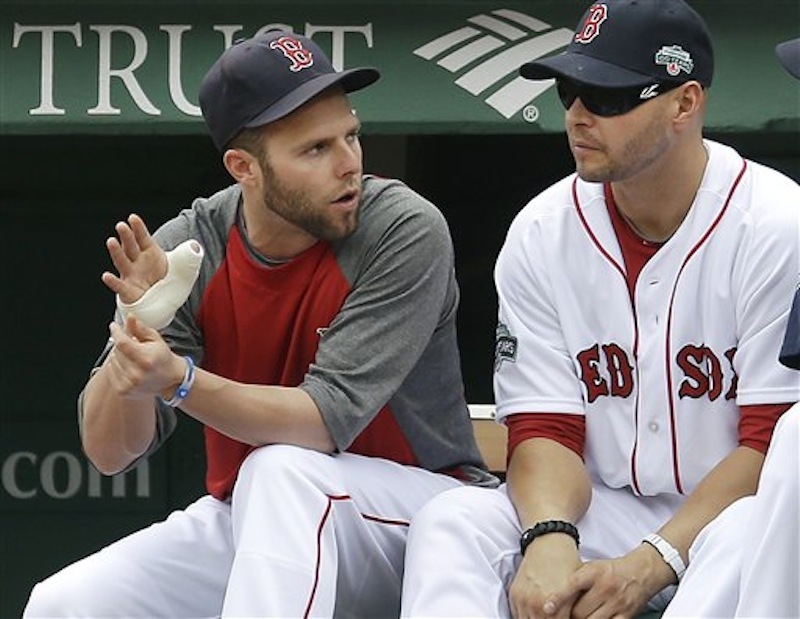 Boston Red Sox second baseman Dustin Pedroia returned to the lineup Thursday night after a stint on the 15-day disabled list because of a strained right thumb. BOSTON — Boston Red Sox second baseman Dustin Pedroia returned to the lineup Thursday night after a stint on the 15-day disabled list because of a strained right thumb. Pedroia, who was placed on the DL on July 4, is hitting .266 with six homers and 33 RBIs. He also missed six games after jamming the same thumb on May 28. Pedroia batted third and was back at second base. To make room for him on the roster, infielder Mauro Gomez was sent back to Triple-A Pawtucket.